Illinois family law attorney Roger W. Stelk has been providing legal representation and advice in family law and real estate matters for approximately 30 years. Stelk founded his Arlington Heights law firm, the Law Offices of Roger W. Stelk, in 1995 to assist area residents with legal matters pertaining to family law, real estate transactions, probate administration and guardianships. With a track record of success and a reputation for being a leading family law attorney in the Chicago area, Roger Stelk is who Northern Illinois residents turn to when they need legal help with divorce, child custody, real estate matters and more. 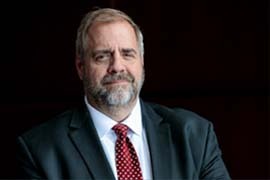 After graduating from the University of Illinois, Urbana-Champaign in 1983, Roger Stelk attended The John Marshall Law School where he earned his law degree in 1987. Mr. Stelk then began building his career, and his reputation for being a top family lawyer, while he gained experience as an associate with Chicago law firms. Since founding the Law Offices of Roger W. Stelk, he has served as a court facilitator for Cook County, an arbitrator for both Cook and Lake counties, and authored a number of legal guides. Mr. Stelk is a member of the Illinois State Bar Association, the American Bar Association, The Chicago Bar Association and the Northwest Suburban Bar Association, and continues to be an active member of the legal community. Mr. Stelk is highly awarded and recognized. In addition to being a recipient of Avvo’s Clients’ Choice award, he has a “Superb” Avvo rating and an AV Preeminent peer review rating* from Martindale-Hubbell. At the Law Offices of Roger W. Stelk, we are dedicated to helping people throughout Northern Illinois resolve family law and real estate issues. For nearly 30 years, we have assisted individuals with divorce, child custody, buying and selling property, and residential real estate closings. We are committed to putting the individual needs of each client above all else. We take pride in being responsive and accessible to you throughout your case. Our goal is to provide the highest quality legal services in a professional, personal and comfortable atmosphere.